Talk about a busy week for Destiny 2 players. Today marks the start of the Destiny 2 Festival of the Lost Halloween event, and Bungie released a quick trailer to get you hyped for what’s in store. The limited-time event includes masks to earn and wear, along with a host of brand new Triumphs to complete. From the teasers we’ve seen, masks will include characters like Uldren and Shaxx, as well as a number of the games big baddies and even the Colonel himself. 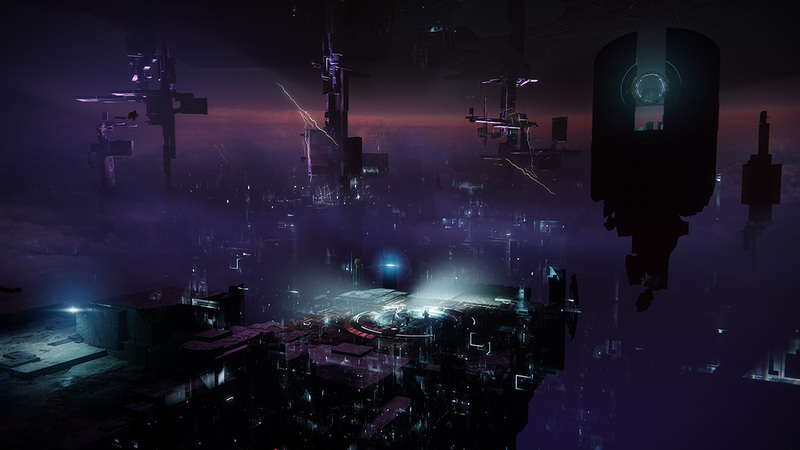 It also brings a whole new activity to Destiny 2 called the Haunted Forest, taking players back into the Infinite Forest on Mercury. The Haunted Forest is a timed mode where players need to delve as deep as they can before the timer runs out. The deeper players get into this new darker and spookier version of the Infinite Forest, the harder it will become. Exclusive to this event is also the Horror Story auto rifle, which will drop fully masterworked and at a full 600 Power level with the Zen Moment and Rampage perks. Players can earn this auto rifle and the various masks in the game by completing bounties from Amanda Holliday and getting Fragmented Souls, used to purchase the rewards. For every Steadfast (Bright) Engram players earn with a level up during the event, they will also earn an Ephemeral Engram which will drop ships, sparrows, Ghost shells, and emotes only available during the Festival of the Lost event. You can get a look at some of the new loot in the gallery below. Ephemeral Engrams can be purchased directly from Tess Everis, and she also sells a rotating selection of the cosmetic items for Bright Dust. As the Festival nears its conclusion, a new murder mystery will open up on October 30, 2018. The quest line will have players investigating the murder of Cryptarch Master Ives. Ives was the Cryptarch stationed on the Reef social space in Destiny 1, but hasn’t been seen yet in the sequel. His voice actor is the same as that of Devrim Kay in the EDZ, so it’s possible Bungie didn’t want to bring Ives back with that potential confusion. Either way, Ives is now dead, and solving his murder will grant powerful rewards to players. The Destiny 2 Festival of the Lost is available to all Destiny 2 players, without any limitations based on expansion/DLC ownership. It ends at 10 am on November 6, 2018, giving players three weeks to participate in the festivities and earn all the Triumphs and rewards. If all of that isn’t enough, today also marks the beginning of a new week of Iron Banner, as well as the Dreaming City curse entering it’s third week in the cycle, meaning the Shattered Throne dungeon is now open again. A new update is also set to go live that fixes a few minor things that have been plaguing players since Forsaken’s early days, including finally making Scout Rifles viable again. We’ll have the full patch notes when they are available. Hope you’re ready to play a lot of Destiny 2. Bungie already offered a ton for players to do on a weekly basis, but this week is the game’s busiest yet.